this picture was taken exactly one year ago today. 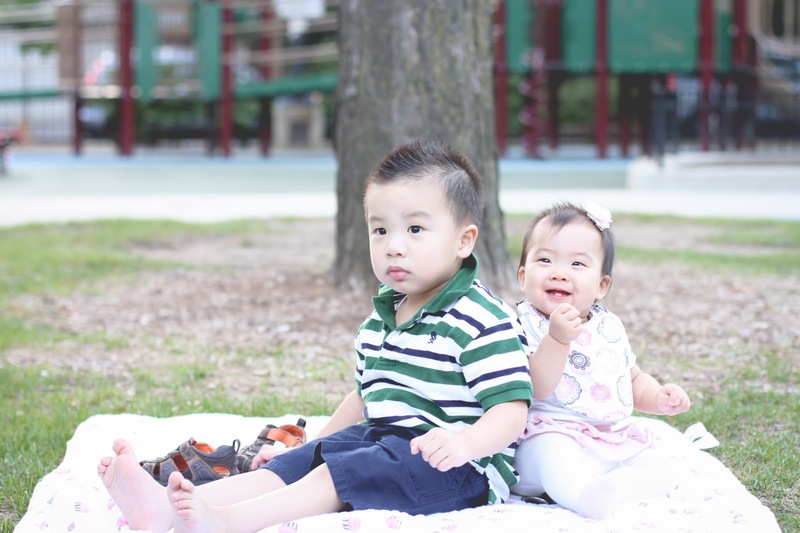 everly was not yet walking, jaden was still very much afraid of the swings and slides, and they weren't yet playing together. literally, they would just sit and stare at each other. we were at this same playground yesterday, but so much has changed. they were running around chasing each other, climbing, and causing a ruckus together. in one short year, they've become partners in crime, and it's only just the beginning of a lifelong friendship.